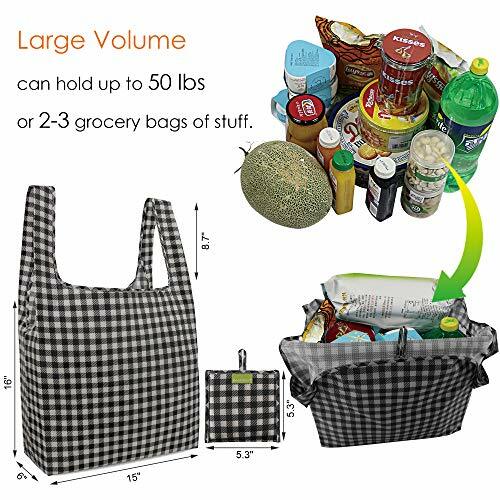 Little Square Pouch Secured to the Grocery Tote and You will Never Lose It. 100% Ripstop Polyester Fabric Resistent to Rips,Lightweight,Washable and Durable. Reinforced Double Stitches Makes It Hold Heavy Loads Safely. 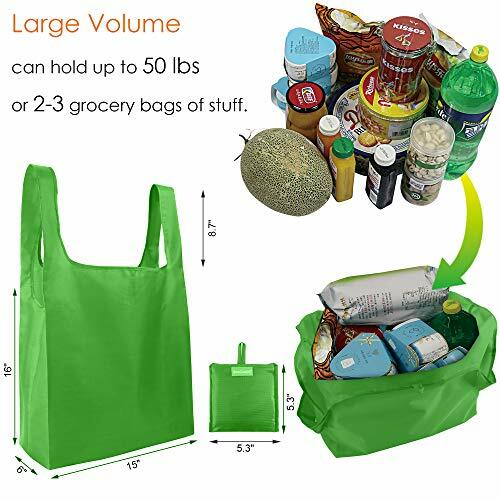 Large Size 15 inch Width, 16 inch High with 6 inch Flat Bottom Can Hold up to 50 lbs or 2-3 Grocery Bags of Stuff. 8.7 inch Long Handles Allow for Hand Holding or Over the Shoulder Toting. 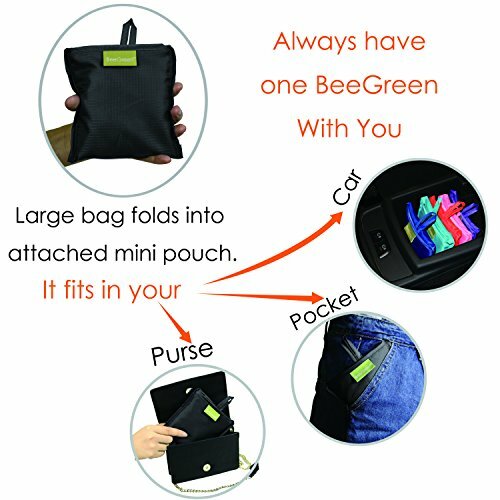 It Folds up to Fit in Your Pocket or Purse. 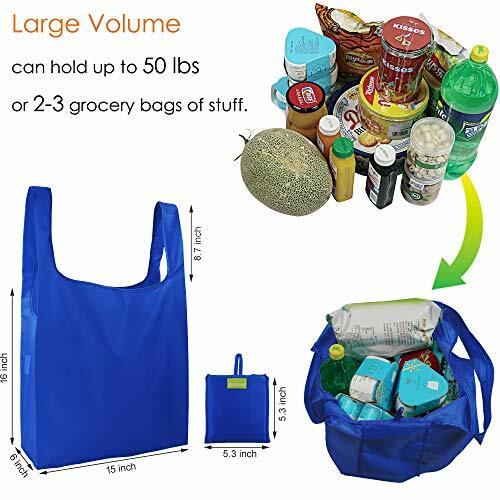 Great for Travelling, or Just Grocery Store Shopping! 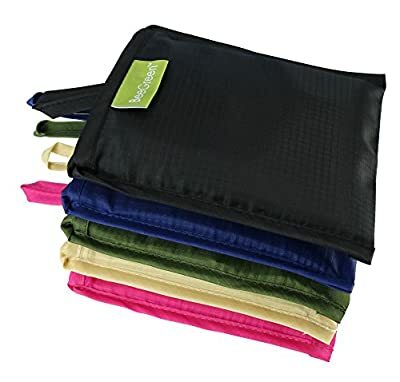 Available in 5 Different Colors Royal,Pink,Purple,Orange,Teal. Save Money on Multiple Piece Orders with Our PACKS!